not just the brewed water. tea in terms of its nutritional value and antioxidant content. 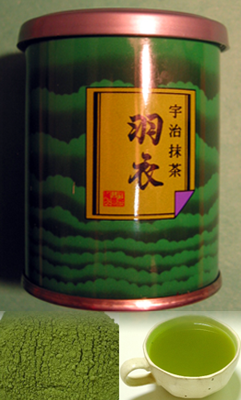 For maximum nutritional benefit, matcha tea is unparalleled. Every day, countless people throw away valuable antioxidants and minerals. While seemingly unimaginable, that’s exactly what happens when you brew a cup of green tea because water can only extract a fraction of green tea’s benefits. The majority actually remains unused, trapped in the tea leaves. In reality, the only way to truly take advantage of green tea’s full potential is to consume the entire leaf. But that doesn’t mean you need to start eating tea leaves. The simplest solution is to just enjoy a bowl of matcha. Because matcha is straight, stoneground tea leaves, matcha provides you with green tea’s powerful arsenal of vitamins, minerals, antioxidants, and amino acids in a way no other green tea can. In fact, to even begin to match the potency found in a single serving of matcha, you would need to drink at least ten cups of brewed green tea. When it comes to helping you achieve and maintain optimum health, matcha is without equal. One of biggest the buzz words in nutrition, antioxidants are naturally occurring chemical compounds that prevent aging and chronic diseases. Nowadays, a variety of fruits and vegetables are lauded for their antioxidant properties, leading to a host of products with all kinds of claims. But matcha is unparalleled in comparison. Firstly, matcha is packed with exponentially more antioxidants according to the latest innovation in antioxidant research. Using the testing method known as ORAC (oxygen radical absorbance capacity), experts at Tufts University discovered that matcha possesses an amazing twenty times more so than pomegranates or blueberries. Matcha’s ORAC rating is a mighty 1300 units per gram, compared to pomegranate’s 105 units per gram or blueberries’ 91 units. Even better, matcha also contains a unique, potent class of antioxidant known as catechins, which aren’t found in other foods. In particular, the catechin EGCg (epigallocatechin gallate) provides potent cancer-fighting properties. Most importantly, EGCg and other catechins counteract the effects of free radicals from the likes of pollution, UV rays, radiation, and chemicals, which can lead to cell and DNA damage. Since over 60% of the catechins in matcha are actually EGCg, a daily matcha regimen can help restore and preserve the body’s integral well-being and balance. One of the most unexpected benefits matcha drinkers experience is a boost of energy through the day. In one study, researchers had thought that this was from the caffeine in matcha, but they found that it was actually the combination of matcha’s natural properties. Another recent study in particular found that matcha even improved physical endurance by 24%. Even if you aren’t facing a grueling workout, matcha can help you through the everyday marathon, whether it’s that project due the next day or getting the kids from school to soccer practice. Green is truly the color of health. Matcha helps to safely cleanse and purge the body of harmful elements. Chlorophyll – the element that gives green tea and other plants their signature verdant color – is also a powerful detoxifier, helping to eliminate both chemicals and heavy metals from the body. And because matcha is carefully shade-grown, it is substantially richer in chlorophyll than other green teas, making it a superior daily detox.